Please note that the submission deadline ended on 1 May 2013 and no further submissions are possible. TAROS-13 will consider both full length conference papers and extended abstracts. 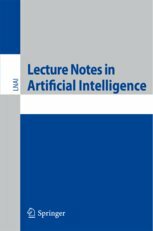 The proceedings will be published in the Springer Lecture Notes in Artificial Intelligence series. Paper submissions must be in Springer page format. Please refer to the style files and templates, with full formatting instructions available for download here. Full Paper Manuscripts are limited to twelve (12) Springer format pages. Extended Abstract Manuscripts are limited to two (2) Springer format pages. Full papers will be presented either as talks or posters, extended abstracts will be invited to present as a poster. All will appear in the printed proceedings. The poster boards are approximately 850mm high by 1200mm wide (i.e. A0 size), so please plan your poster to be no larger than A0 (841mm x 1189mm) for display in landscape format. An A1 size (594mm x 841mm) poster may be displayed either in portrait or landscape format. If you intend to use individual sheets, please plan your display within the dimensions given. We do not have printing facilities, authors are expected to print the posters themselves and bring the posters with them. Besides being displayed, posters will be presented in a 3–5 minute “poster spotlight”. For this presentation, authors are invited to use up to three slides to introduce their poster. Timings will be strictly observed. The purpose of the poster spotlight is to present just the main points of your poster — details of the work should be presented during the actual poster session. Authors who do not mind the video available for public circulation: Please upload your video on YouTube using the following naming convention for the title: TAROS2013+Your title of the paper. Authors who do mind their video submission for public circulation: Please upload your video on vimeo with password protection. Please upload a pdf page with the link to the video (YouTube) or (vimeo) with the password at the end of your main submissions pdf. Please note that we do not have any connection to or do not benefit from either of the two video streaming websites. They are only cited as an example and similar services can be used by authors if they consider them to be more suitable to their purposes. TAROS-07: Robotics and Autonomous Systems, 55-09, pp. 659-760 (September 2007).